The high school girl’s basketball season is drawing to a close and it’s time to start thinking about tournaments. 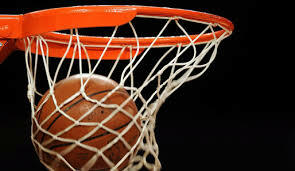 Sunday the Ohio High School Athletic Association hosted the girl’s basketball tournament draw. In Division I in the Columbus 3-Sectional/District Tri-Valley was named the 14th seed. They open up tournament play against 30th seed Walnut Ridge at home on February 22nd at 7pm. In Division I in the Columbus 4-Sectional/District number 2 seeded Newark will host Mount Vernon a 42 seed on Saturday, February 16 at 7pm at Newark. In the Division II East District-Sectional/District Cambridge will open tournament play as the 14th seed on Monday, February 18. They’ll take on 12th seed Lisbon Beaver at 7pm. The winner of the Cambridge/Lisbon Beaver game will move on to face number 3 seeded Maysville on Wednesday, February 20th at Maysville. Game time will be 7pm. Also in the Division II East District 8th seeded John Glenn will play 4th seeded Minerva on Wednesday, February 20 at 7pm. While that night 13th seed Philo will travel to Indian Creek for a 7pm game. 14th seed Zanesville will open up the tournament with Claymont at 16 seed at Zanesville on Wednesday, February 20 at 7pm. River View a 6th seed will take on Indian Valley at Indian Valley on Wednesday, February 20 at 7pm. Number 7 Licking Valley will host 16th seed Buckeye Valley. That game will be played on Tuesday, February 19 at 7pm. Heath receives a first round by in the tournament and will face the winner of Bexley and River Valley on Friday, February 22 at 7pm. Granville also receives a first round by in the tournament and will play the winner of Highland and Columbus Centennial on Friday, February 22 at 7pm. In the Division II-Westerville 2 Sectional District Lakewood a 16th seed will take on number 15 Columbus Independence at 7pm on Tuesday, February 19. Taking a look at the D III East District 1 Sectional/District West Muskingum will travel to play Sandy Valley on Wednesday, February 20. Buckeye Trail opens tournament play at home at 2pm on Saturday, February 23 against Martins Ferry. Coshocton will also play on Saturday, February 23 at 2pm. They’ll face the winner of Berlin Hiland and Newcomerstown. D III East 2 District-Sectional/District will feature number 5 seed Morgan taking on number 8 seed Meadowbrook at Morgan on Saturday, February 23. Ridgewood will also play on Saturday, February 23 at Tuscarawas Valley at 2pm. D IV New Albany Sectional/District will have number 2 seed Newark Catholic playing Northside Christian at Newark Catholic on Saturday, February 16. Tip-off is at 7pm. D IV East District Sectional/Regional number 4 Rosecrans will host number 8 seed Tuscarawas Central Catholic on Thursday, February 21 at 7pm.